The opioid addiction crisis has become widespread and narcotics like fentanyl and oxycodone have led many sufferers down the dark path of addiction. The explosion in illicit opiate use, like the crack cocaine and crystal meth epidemics before it, is destroying communities without discriminating between class, race or gender. Yet with all the dangers that we face from this epidemic, alternatives like cannabis are not always seriously considered by the mainstream medical community. No drug is perfect for everyone, but medical marijuana’s benefits and risks need to be considered in the context of our nation’s larger drug use problem. Medical marijuana can offer relief for those suffering from chronic pain, without the serious side effects from opioids. When doctors prescribe safer alternatives like medical marijuana as part of an initial pan treatment plan, there’s a significant drop in the possibility of addiction to an opioid. Per the CDC, statistics in 2015 reveal deaths from drug abuse involving prescription drugs and heroin number in the tens of thousands. There were no records of anyone dying from marijuana. 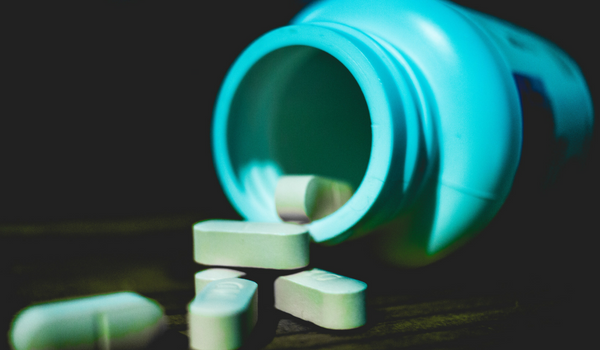 While it hasn’t been conclusively proven that prescribing medical marijuana can reduce opioid addiction among pain sufferers, there is research that suggests CBD (Cannabidiol) does block opioids from taking effect once they enter a person’s system. Our bodies process the psychoactive chemicals in cannabis through our endocannabinoid system. However, CBD is a non-psychotropic cannabis compound that behaves differently. There is also anecdotal evidence that cannabis is as effective as opioids in treating some forms of pain. Medicinal marijuana can also offset some of the withdrawal symptoms experienced by former opioid users. We have more information about medical marijuana and chronic pain our site. A primary barrier to even more research on the therapeutic benefits of cannabis is its status per federal law. This status as a Scheduled 1 drug (like heroin and LSD), makes it harder for research projects to be funded and approved in the U.S. In light of the proven human devastation of the opioid addiction crisis, the benefits of medical marijuana have never before provided such stark contrast to the alternatives. If you’re looking for more information, you can always get in touch with us and sign up for our email newsletter on our homepage. You can also check out our Facebook page and follow to stay updated on Pittsburgh medical marijuana. We’d be happy to answer any questions you or a loved one might have.